The ability to properly locate the desired position on the timeline is a crucial skill for proper use of tenses. So pay attention to the timeline in our lessons and visualize it while speaking, listening, writing and reading. After some practice you’ll be able to select the right tense to use much easier. The full name of this tense, which you may sometimes encounter, is Futuro Imperfecto de Indicativo. Let’s take a look at its conjugation, usage and examples. The vast majority of Spanish verbs conjugate regularly in the Future tense. The conjugation is based on the entire, unchanged infinitive of the verb to which we add endings specific to each grammatical person. So we can see it’s the entire estar- at the beginning of each form, to which the appropriate endings are added. There are only several Spanish verbs which conjugate irregularly in Futuro. 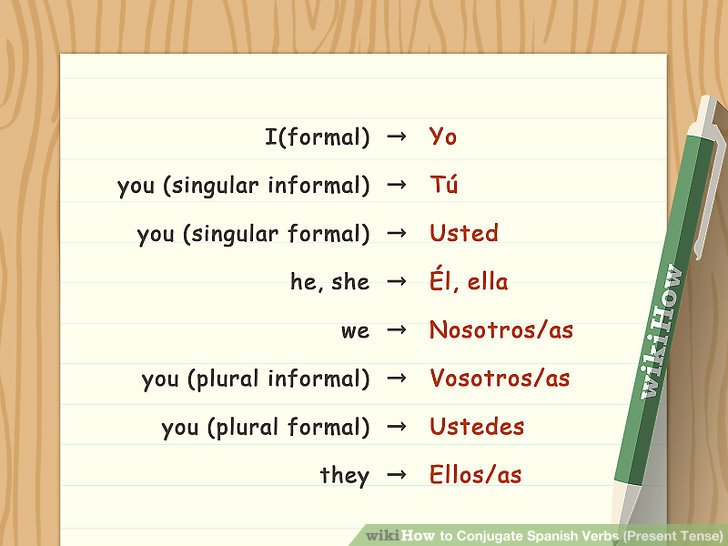 In case of these verbs, instead of using their infinitive to create each grammatical person’s form, we use an irregular stem. To this stem we add the exact same endings as in regular conjugation. Creo que el examen no será demasiado difícil, pero estoy estresado. I think the exam will not be too difficult, but I’m stressed out. El mes que viene terminaré mi curso y comenzaré a trabajar. Next month I will finish my course and start working. Tengo demasiadas cosas para hacer asi que no sé si podré ir a la fiesta. I have too much stuff to do so I don’t know if will be able to go to the party. Estoy segura que volverán pronto pero les llamaré si insistes. I’m sure they will be back soon, but I will call them if you insist. Si me queda tiempo y dinero, visitaré a mi tía en Bolivia. If I have time and money left, I will visit my aunt in Bolivia. Si se lo dices al jefe, serás mi héroe. If you tell it to the boss, you will be my hero. Ella tiene sólo 22 años, pero creo que tendrá como mínimo seis victorias en su cuenta. No tengo un reloj, pero serán las doce, más o menos. I don’t have a watch, but it will be twelve or so. Note that to make hypothesis in the past, we would use the Conditional tense. You WILL drink the milk! dentro de seis meses within six months It means: maybe tomorrow, maybe next week, but not later than a month from now. Not only is the Future tense one of the simplest tenses in Spanish conjugation, but it has very handy alternatives as well. Additionally, in many cases, the alternatives are even more common and natural way of speaking. Nevertheless, the Future tense is widely used and it is still worth learning its straightforward rules. Take care honey, we’ll talk soon! Busco y busco pero me parece que nunca voy a encontrar mi destino. Mañana vamos a ver la exhibicón de las obras de Goya. Tomorrow we will see the exhibition of the works of Goya.